Football season is almost here! This is the start of a busy but exciting time in our house. 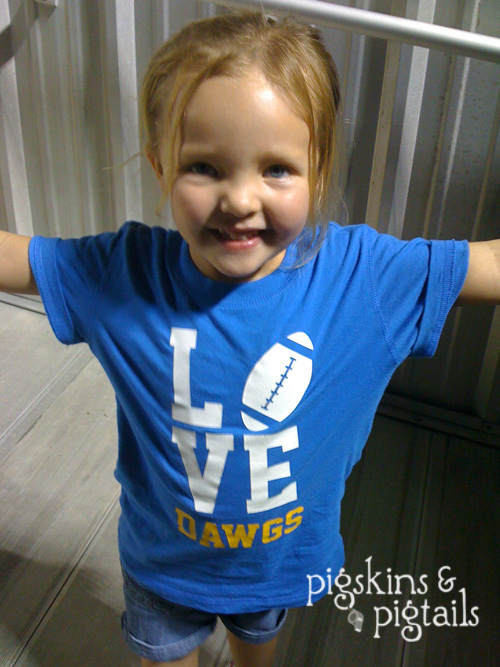 We head out every Friday night to support daddy’s high school football team. Here is one of the shirts I made for my daughter last year. I’ve been thinking of designs for this year’s shirts and will get to work on those soon!